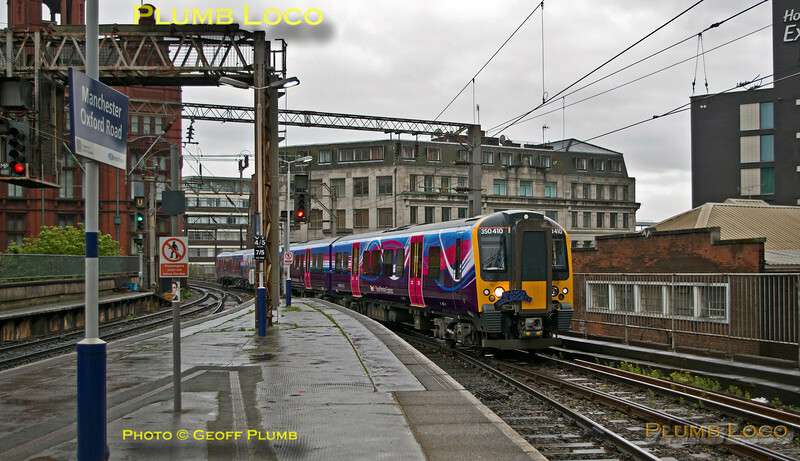 First Transpennine Express 350 410 had only just been wrapped in its new livery vinyls in time to work the Branch Line Society's TPE "Clyde Race Tracker Tour" for the benefit of "The Railway Children" charity. The train is here running in to Manchester Oxford Road station at 07:22½ on Saturday 26th April 2014 as 1Z50, the 07:20 from Manchester Piccadilly (though this was not a public pick-up point) to Edinburgh Craigentinny T&RSMD, the first leg of the tour. Digital Image No. IGMP3529.